The undead seem even less dangerous without gravity. At this point, there's a long, storied grudge between the Earth's vegetation and the shambling undead. For whatever reason, they just can't get along, though I seriously doubt that anyone's tried. 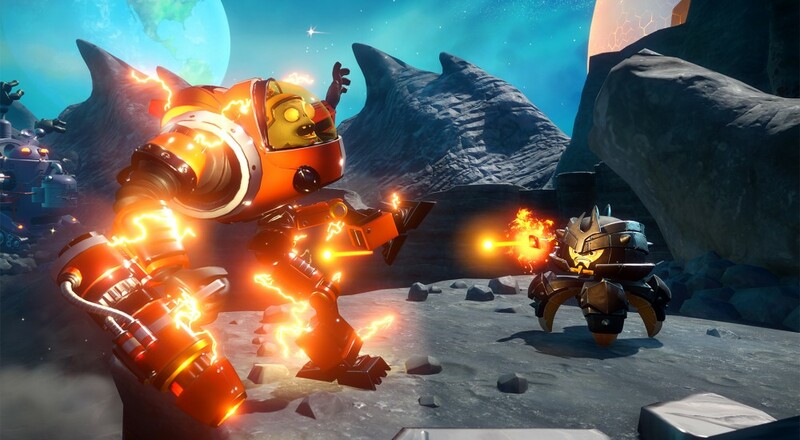 Plants vs Zombies: Garden Warfare 2 is simply the logical escalation of that grudge. Anyone with half a brain could deduce that a conflict between sentient flowers and rotting humanoids would eventually lead itself to the moon. That makes sense, right? Anyway, another trailer is coming to us hot off the Gamescom presses, and this time we're getting a glimpse at combat on Moon Base Z. Don't worry about how a stalk of corn could survive warfare on the surface of the moon. He'll be fine. Plants vs Zombies: Garden Warfare 2 will bring farm fresh melee to the Xbox One, PlayStation 4, and PC sometime this Spring. If you have three friends scattered across the globe, or at least further than your couch, the game supports four player online co-op. But fret not, local co-op enthusiasts! The game also allows for two like-minded plant protectors to engage their soulless counterparts on the same screen. Hopefully, the moon will be the final frontier for this fabled war, or else the Curiosity rover may have to start watching its back.